and the mediterranean-like McLaren Vale. Create your own bespoke wine tour itinerary or try our recommendations and be guided to some of the most picturesque wineries and vineyards in the world. Visit cellar doors with log fires and warm welcomes. Some were built in the 1800s, and others have modern design and functionality. Visit renowned wine labels with 4, 5 and 6 generations of family history, and also meet young, new, winemakers, with a fresh look at making wine. Enjoy some of South Australia's and Australia's finest local food and spectacular scenery. Try a scenic flight or open cockpit plane ride, sample chocolates, cheese or a beer paddle or just stroll along the main street. It's our aim to perfectly blend your day tour to meet your needs and requirements. McLaren Vale, where it's green all year round. Whether it's winter ground cover growth between the dormant vines or summer where the green leaves photosynthesis to provide life and shade for the grapes that will become the new vintage wines. 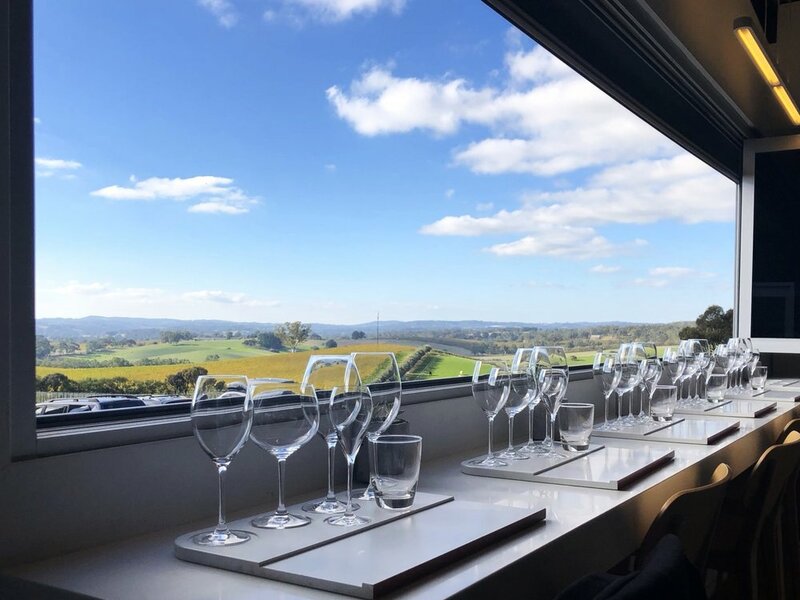 The McLaren Vale wine district is less than 45 minutes from Adelaide, it's the gateway to the Fleurieu Peninsula and it's so close to our stunning southern beaches. This is one of THE wine grape growing areas South Australia has to offer, it's simply a must see. The Barossa Valley is teeming with history including the oldest family owned wine label in the country and what's believed to be the second oldest shiraz vineyard in the world. The wine triangle of Nuriootpa, Angaston and Tanuda and it's surrounding areas like Greenock, Bethany and Lyndoch are home to some of the worlds most recognised wine labels. A day in the Barossa Valley is well worth the trip and will be long remembered. The Adelaide Hills region is the epitome of COOL with it's cool climate traditional whites & reds winning accolades from all areas of the wine world. The Hills are now embracing emerging varietals such as Tempranillo, Fiano and Montepulciano. From Mt Compass in the south, to Mt Pleasant in the north, there are around 90 wine labels and over 50 cellar doors in the Adelaide Hills. Enjoy a full day tour or it's close enough for lunch and your favourite winery in the afternoon. The Network is made up of ten major cities located in internationally renowned wine-producing areas throughout the world. The website gives information on each of the member cities, with links to essential organisations in wine, travel, education and business. It also gives you all necessary information about the Best Of Wine Tourism award winners and about the Great Wine Capitals Travel Network.